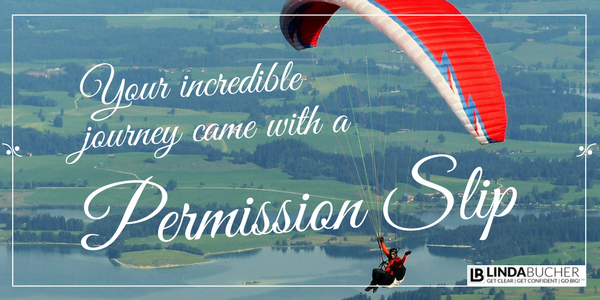 Your incredible journey came with a permission slip. Get it here. Music not only inspires me, I’m convinced that it delivers metaphorical messages. Sometimes I like to put Pandora on shuffle and play musical roulette to get a glimpse of what the day will hold. Some nights, the jukebox in my head plays all night long, insistently keeping me awake until I decode what my subconscious is trying to tell me. At times, an obscure song playing in a department store dressing room answers a question I’ve thrown out to the Universe. On the most notable occurrence, and despite my fear, it lovingly, and quite insistently, ushered me back into the arms of My Love. I remember that as a new coach, I was processing so much: my own internal expansion; a new career; an avalanche of new information; risking it all to do what I love. 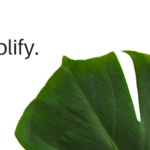 I created a blog to help me process and share and I called it My Musaic. In the Musaics, I wove my new knowledge with the lyrics of songs to augment how readers would experience and process what I had to say. It was an awesome blog, if I do say so myself! I couldn’t spit Musaics out fast enough. Inspiration, ideas and words flowed like a beautiful stream after a week of showers. And the blog was so much fun to create. Then once every 3 months. Obligation replaced inspiration. Writing became a chore. So I quit. No longer a blogger, now I was a quitter. You can imagine what that did to my momentum as a new coach…can’t you. Well hold on just a minute. If you’ve stopped doing something that felt like an expectation, a chore or a should, then I say, BRAVO!!! My mistake wasn’t in giving up the blog, it was in perceiving myself as a quitter and beating myself up – which left me void of all inspiration and threw me into months of self-doubt. Had I only given myself permission, I wouldn’t have found myself stuck in the muck of indecision. Your incredible journey came with a permission slip. 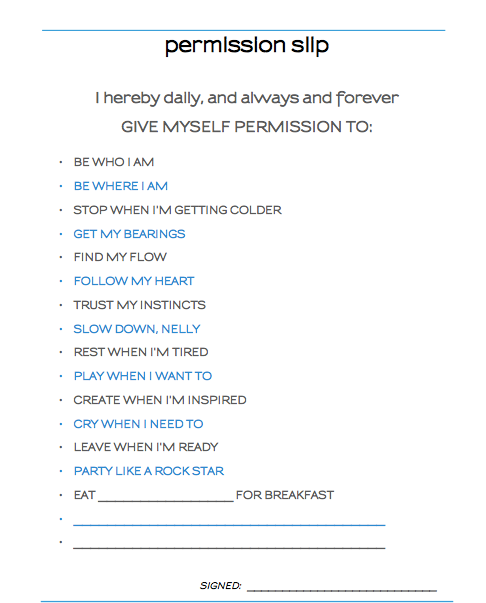 If you find yourself in a similar place, I invite you to incorporate permission into your every day. Did you forget to sign it? If it slipped by you, you can use this handy-dandy version. Download your permission slip here. When you give yourself permission to follow your heart and trust yourself, your journey will become an adventure!